Stock images are a bit of a hit or miss when it comes to their usage on websites. While they can be effective in some circumstances, there is a lot of negative connotation behind the usage of stock images. 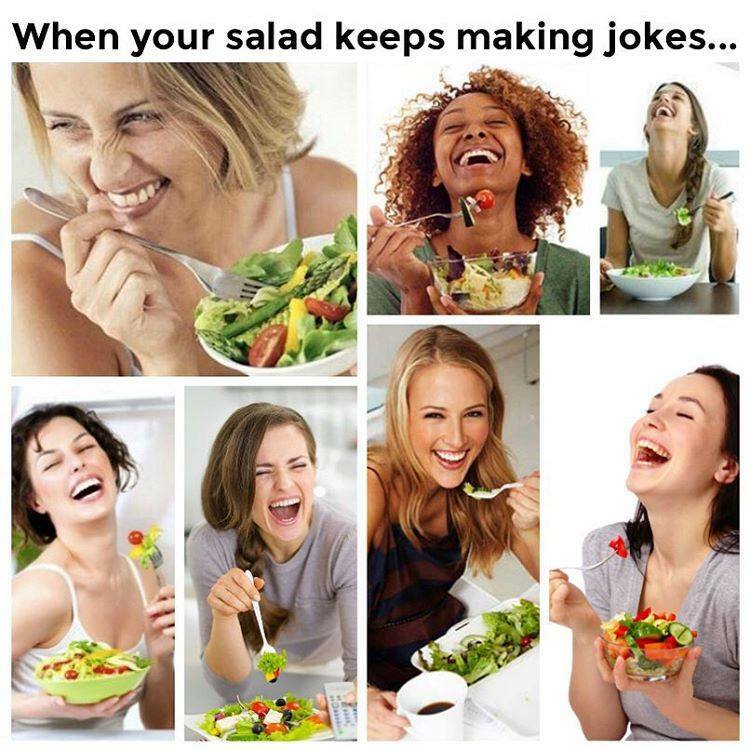 The infamous “woman laughs while eating a salad alone” stock image has been a joke on the internet for years. A lot of people will tell you that stock images have no business on a website, because it looks tacky, but there are ways to use them effectively. 1. What is the purpose of the image? 2. What are you trying to convey? 3. Does the image fit the rest of your website? An issue a lot of users come across with stock images is getting the right message across and connecting with their audience. A lot of stock images can be very impersonal with very extreme high energy depictions of people doing often mundane tasks. This gives off a very artificial feeling and doesn’t resonate with audiences as effectively. No one is going to be laughing joyously at their salad or having an enthusiastic high five over completing a task. Despite the overwhelming number of useless stock images, they can be useful when used correctly. First, use the stock images to complete your content rather than to fill space. Throwing in random images won't do you any favors, you need to be proactive and find suitable images which will capture attention. This will give you the best chance of achieving conversions and getting people to come back and keep going through your content. It’s also important to use imagery that will resonate with your audience. You don’t want to alienate them by using imagery that doesn’t appeal to them. If you have a younger audience, you would cater your content differently than you would for an older audience. Using your own photos has a few benefits, for one you can be sure that it is original content and won't be found somewhere else on the internet. It also can mean that you’ll be saving money, not having to pay for stock images or a subscription to a stock image website. A while ago, finding a way to take high quality photos could have been difficult. With the progression of technology, camera quality has risen steadily. It’s now easy to take high quality photos with something nearly everyone has. Smartphones have great cameras, meaning that just about anyone can take high quality photos that can be used on your website. A quick visit to YouTube can teach anyone some great tips and tricks to taking good photos. Using your own photos can also make your company seem more personable. By using images of your company and its members on the website, you become more human. Making it easier for your audience to feel connected to you and raise the chance of curating brand loyalty. It also allows you to represent your brand and decide how you want to appear to your audience.